An Isro (Indian Space Research Organization) satellite, Saral (Satellite with ARgos and ALtika), will embark the AltiKa altimeter (working in Ka-band, 35 GHz), built by Cnes, as well as a Doris instrument. Signal frequencies in the Ka-band will enable better observation of ice, rain, coastal zones, land masses (forests, etc. ), and wave heights. the DORIS precise orbitography system, in association with a laser retroreflector (LRA). The launch of this mission on 2013/02/25, is planned with a life of 3 years (2 year for the nominal phase, and one year for the extended phase). 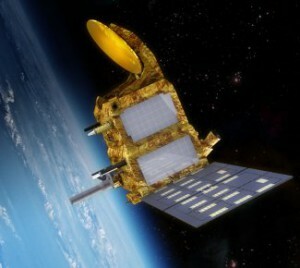 This mission is a cooperation between Cnes and Isro.